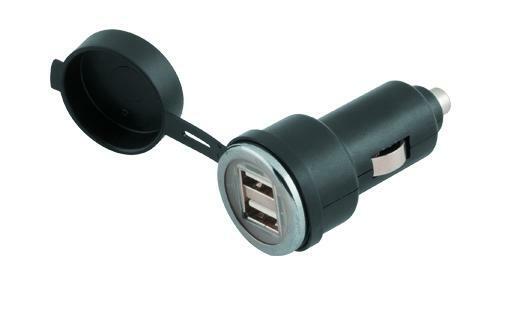 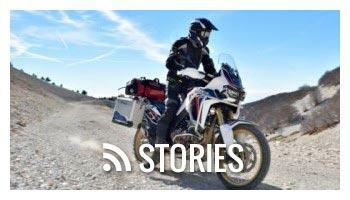 Dual USB power adaptor to keep your Smart phone, GPS, MP3 charged. 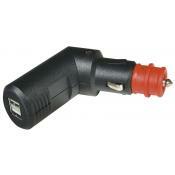 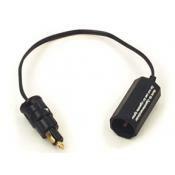 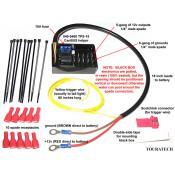 Input DC 12 volt (cigarette lighter size), Output DC 5 volt/2 Amp. 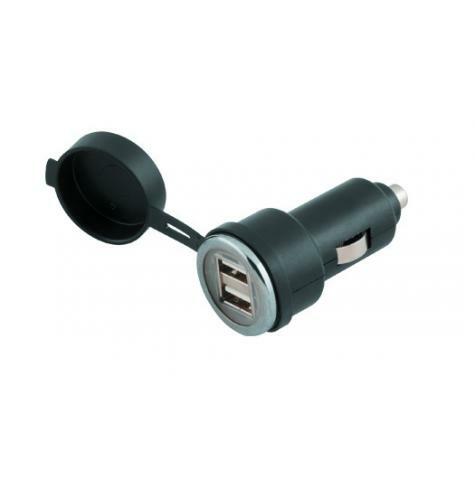 Water and weather resistant cap included along with a blue LED power indicator light.